After attending Harvard, Mr. Bannon became a banker at Goldman Sachs, focusing on media deals. He reportedly still receives royalties from reruns of the TV show Seinfeld, thanks to one of his previous transactions. Look, it goes without saying we all love Seinfeld; it goes even more without saying that we all want new episodes of Seinfeld on NBC. But — friends — at what cost?! Starting right now, every time you watch a Seinfeld rerun, you are implicitly supporting the Trump campaign. But! If we all agreed to stop watching Seinfeld on TV, then they’d stop showing Seinfeld on TV. And Bannon stops getting checks. Ergo. 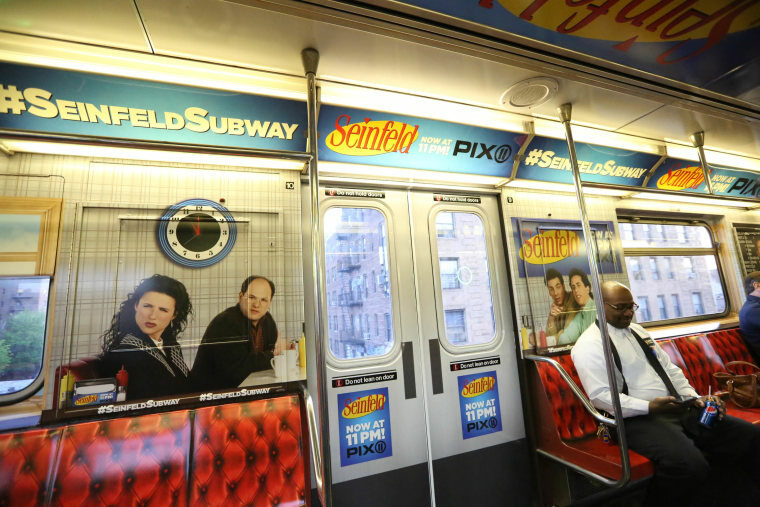 If you really want to watch Seinfeld, don’t do it on TV. Come over my house instead, I have them all on VHS.